This month's Yard of the Month fittingly celebrates the harvest! It may not be the most beautiful (because that might be the yard three doors to the west, at 946 Euclid), but it is the most BOUNTIFUL. 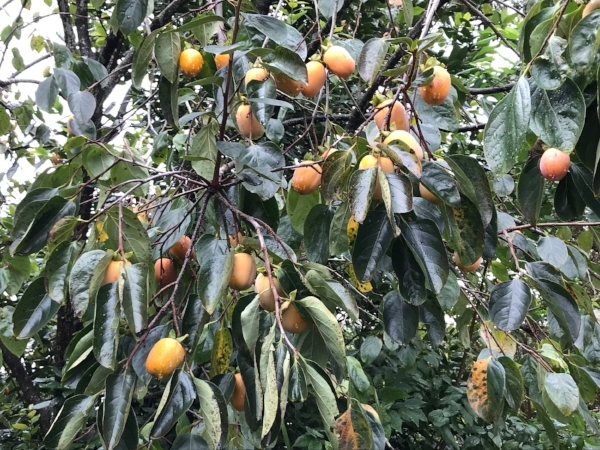 According to the current resident, Jeff Shell lovingly cultivated the yard in the early 2000s, so now the massive persimmon tree dominates and fruits generously, along with pomelo and pomegranate. These juicy trees provide a buffer to the equally abundant butterfly gardens closer to the house. It's all looking a little wild and fun, yet somewhat low maintenance, and absolutely delicious.